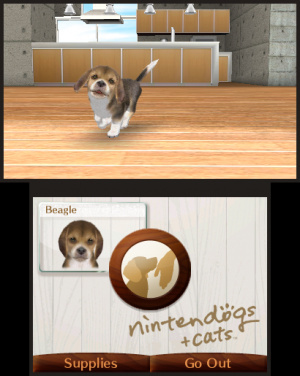 We play PilotWings Resort, Nintendogs + Cats and more! 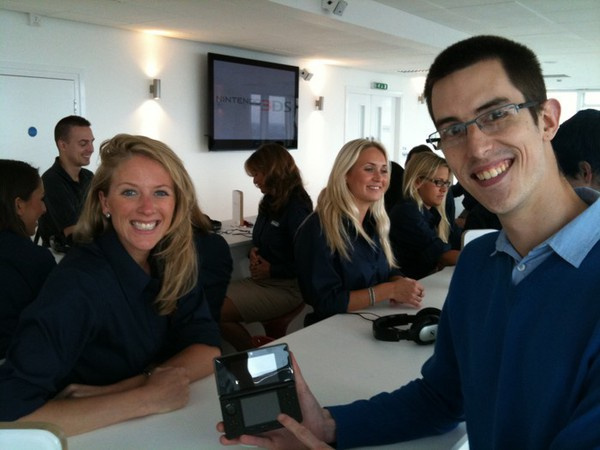 Our intrepid reporters Darren and James made a trip to London's rather posh Millbank Tower yesterday to experience the one and only 3DS. First things first: there were no new titles available here, no new information about the 3DS and no word on its release date and pricing. It was simply a chance to get hands-on with the machine to see if it lives up to the hype. Making a beeline for the 3DS, only three games were playable: PilotWings Resort, Hollywood 61 and Nintendogs + Cats, though no cats were available in the demo. Tending to a beagle, labrador or Yorkie, we were able to stroke the furry critter and moved close to the camera to allow it to lick our virtual face, though this feature was a little temperamental. Although it's hardly pushing the 3DS technology to its limits, the screen resolution, texture clarity and realisation of the room in 3D was impressive, and let's face it: this one is going to sell millions no matter what. Taking to the skies in PilotWings Resort, this again demonstrates the depth of the 3D screen, which is every bit as good as Corbie's 3DS First Impressions from E3 state: pin-sharp right to the horizon, with the slider up to full the sight of Wuhu Island rolling into the distance is a sight to behold. Smooth, crisp and clear, the technology is undeniably impressive, though the game itself is little more than a demo: piloting a biplane, you fly through rings to accumulate points. It's hardly NiGHTS into Dreams in its intricacy, but it shows off the depth of the screen very well. The second part of the demo was a rocket pack level set in the main town on Wuhu Island, where you use the analogue slider to tilt your Mii's boosters to fly into balloons, popping them on contact. Another simplistic game, this was less impressive than the biplane level but with both games featuring score elements these could gain some longevity on release. 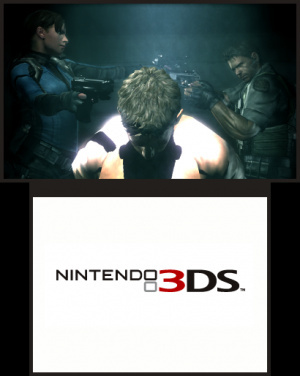 Hollywood 61 was the final playable 3DS game, developed by Ubisoft unlike the other playable games on display. It’s basically a murder mystery game where you solve Professor Layton-style puzzles. In the example we tried we were tasked with the challenge of rotating various mirrors in order to reflect a beam of light and ultimately illuminate the theatre. It was nothing we haven't seen before, and the 3D effects were no great shakes during the actual gameplay. The abundant cutscenes showed off the 3D capabilities of the 3DS much better however, but it has to be said that hand-drawn characters and scenes simply do not impress half as much as the polygon-filled Mario Kart demo. The cutscenes in Hollywood 61 felt more like cardboard cut-outs stacked on top of one another: nice enough, but nothing groundbreaking. Move on folks, there’s nothing to see here. 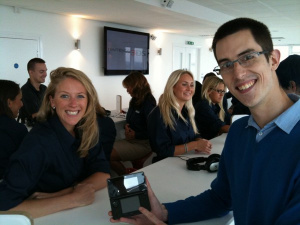 The only other truly interactive feature on show was the 3DS's 3D camera. A simple matter of point-and-shoot, the dual external cameras do all the hard work, with a variable slider letting you alter the focal length. The effect works best when the subject gestures towards the camera – our models dutifully performed a wide range of poses allowing us to see the effect in full, and although the long-term uses of these 3D photos are uncertain it's clear this feature has a lot of instant appeal: being able to snap a friend or landmark and view it in 3D in the palm of your hand is an enticing proposition. All the other titles were displayed in non-playable format, though some had limited camera interaction. Mario Kart 3D looked fantastic: clear, bright and smooth, this is another runaway success in the making, although sadly there were no other Nintendo titles available in live format. That's right: no Ocarina of Time, no StarFox 64 and no Animal Crossing, with Kid Icarus: Uprising only present in a (rather poorly compressed) 3D movie. 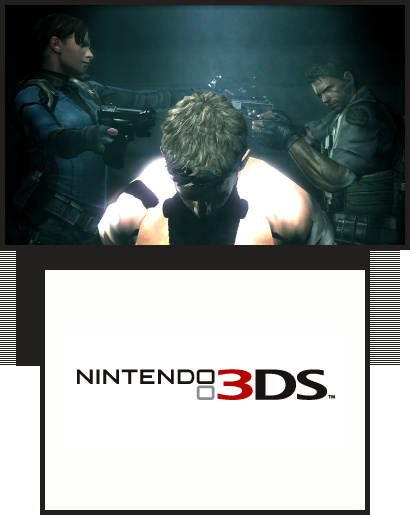 Thankfully other demonstrations delivered, with Resident Evil: Revelations pumping out graphics we never thought a Nintendo handheld could offer, with a user-controlled camera letting you pause and explore the scene in real-time. If the full game can produce graphics of this calibre it'll easily be one of the best-looking titles ever seen on a handheld. Metal Gear Solid: Snake Eater 3D offered a much longer demonstration that offered mindblowing moments; arrows flying in to pin down Snake, falling from a bridge and the climactic duel with The Boss all stunned, but other areas showed the lack of time Kojima Studios spent on the demo, with some blocky textures and unconvincing animations. Still, as a demonstration put together in a short space of time it still impresses, at least on a par with PSP’s Metal Gear Solid: Peace Walker in the graphical stakes overall. Other 3D delights on show were a trailer for upcoming film Legend of the Guardians: The Owls of Ga'Hoole that, although a film about talking owls, looked impressive: the 3D screen gave the owls remarkable solidity and roundness, although the 3D slider here only switches the effect on or off, with no middle ground. Still, the top screen is extremely clear and sharp, and this was shown off in a further demonstration. Combining specially-shot 3D clips such as a champagne cork popping towards the camera with dioramas of Nintendo characters – one featuring none other than Captain Olimar and friends – this was a clear indication that the 3DS is engineered as a multimedia machine, with a screen large and clear enough to display films comfortably. Although we were disappointed that several of our most anticipated games weren't available – where were Ocarina of Time, Animal Crossing, StarFox, Paper Mario and the rest? – we're happy to confirm the machine is every bit as good as previous reports have stated. The depth in the 3D screen is mindblowing, with details clear all the way to the back, and it genuinely does make it easier to perceive the game world and how the objects relate to each other. The sweet spot is a decent size and there is a noticeable shimmer when you move out of it as the two images separate, but once you see the 3D, like the old Magic Eye pictures, you're locked in. It's fun just to sit and watch the games play out, looking into the background for small details and enjoying the depth offered by the screen. The analogue slider feels very comfortable and responsive, and we checked out as many of the other features as were available: the extendable stylus, Home menu and game cards were not on show, sadly. We'll have more impressions for you during the day, including Nintendo's upcoming DS and Wii line-up, so stay tuned for more. I had a feeling Hollywood 61 wouldn't be big, but I'm surprised they held back those titles you mentioned, especially Star Fox 64 3D, because I'm sure that was playable. Anyways, great impressions Mr. Newton. From the Nlife tweets yesterday by James and Daz, I gathered that they did not get to play as many 3DS games as they would have liked, but it was obvious that they still had a superb day. I really enjoy reading about the actual clarity of the screen, as well as the 3D effect (obviously). If Ninty are showing Mario Kart 3D demos now, I really hope that it is a launch title ("polygon filled" demo- Oh yeah!). I'm getting even more excited about 3DS's graphics capabilities after reading James' description of Resi, too. Great stuff @Prosody, I'm sure that you will get some hands-on time with Kid Icarus and Star Fox soon enough. Where's the photos of Dazza and a 3DS? He was behind the camera, staying out of the limelight as usual! @pHaT-aNt_ You know me, I'm a shrinking violet! @JamieO Indeed, it was a little disappointing that we weren't able to actually play more of the 3DS games. We were told by a few of the PR girls that the EU launch date would most likely be March 2011 so I guess if true then there is still a lot of time to get these games ready. The Mario Kart 3D demo impressed me the most, the karts literally lept off the screen and there were some lovely effects such as pink blossom falling over the track which added a wonderful sense of depth. Hopefully there'll be a lot more to PilotWings 3DS... I'm really looking forward to it, and I trust (hope) they wont mess it up. At the very least, there needs to be a free-flying mode, so you can explore Wuhu Island at leisure with any of the game's vehicles. Those PR Honeyz are stone-cold foxes ! I never knew Nintendo's Human Resource Department was as amazingly talented as their game developers. ...."Noooooo, Miss PR Lady!" There goes my plan for Christmas 2010 to revolve around a PAL 3DS purchase. The 3DS is looking to be huge. 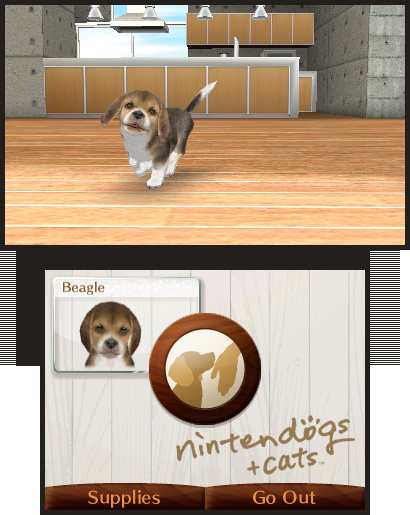 The casuals will probably love Nintendogs + Cats, but Nintendo has delivered on pretty much all fronts. Wonder what the next e3 will bring from Nintendo. Virtual reality, full on voice command, SUPER NINTENDO WII! Dang the graphical quality on this thing is amazing, I could see myself laying down a good $200 for this. ...to experience the one and only 3DS. Maybe they'll have SS for the Wii. Nice Tag: "It's Nice To Want Things"
By the way, did you get any more pics of Mario Kart. So what about the extendable stylus? Can you give me some info on that? Thanks! @Pyrodon: My thoughts exactly, I haven't heard about that yet! HOLD IT. Did you say that in PilotWings resort you could play as a MII?!? I'm anxiously waiting for this system to be released along with SF 4! @Pyrodon: The article mentioned that the stylus was not among the features on show. Prosody I love those pictures You didn't happen to bring me back a pretty lady for me did you? You lucky little bas...... I mean, good for you. 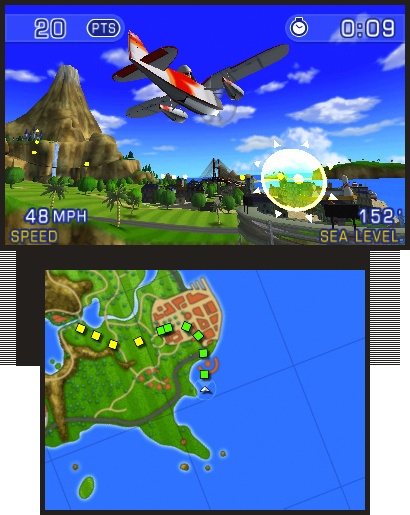 Wuhu Island for Pilotwings is nice, but I'd like to see some variety in locations like Pilotwings 64 had. Hollywood 61 just might be a sleeper hit, but I dunno. It's awesome to see that more and more games are becoming playable now, though. It's a good sign that it may be out by year's end, but early next year wouldn't be bad at all either. Although I'm dissapointed that it's not out this year, it sounds awesome and it'll give me time to get other wii and ds games that I haven't got yet. This makes the 3DS all the more exciting. You did try to take one and run, James? That girl in the bottom photo. These constant insinuations that there was anything untoward about my interactions with these fellow media professionals are profoundly insulting and unnecessary. 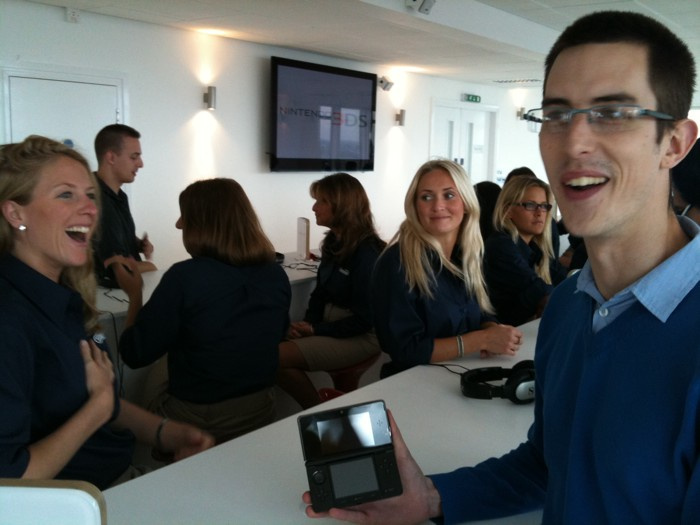 Just out of interest, whilst at E3 or Millbank Tower did Nintendo demonstrate to the Nlife crew how the regular DS games look on 3DS's crisper screens, particularly its wider top-screen? @Loco Moco I just re-read the article and I could have sworn it said that they DID experience it. I guess I totally read it wrong. @JamieO nope, each of the 3DS consoles were only set up to perform one function. The PR staff couldn't (or wouldn't) show anything other than what their little placard advertised. No DS games on 3DS on show! 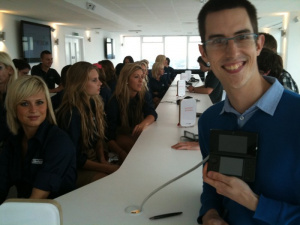 Cheers @Dazza, the more I read about 3DS the more impatient I grow to have one all to myself. I am buzzing off its tech specs, 3D Star Fox and Mario Kart with souped-up graphics is the stuff of dreams. Yet I still consider daft li'l thoughts like, "I bet backwards compatible Contra 4 will look awesome on the 3DS screens!" lol. Great impressions James, What a shame thwre wasn't some of the cool games on E3, still, can't wait to get to see the 3DS myself. 50% of the photos in the article feature James. Are we filling a quota? More importantly, is it filled yet? 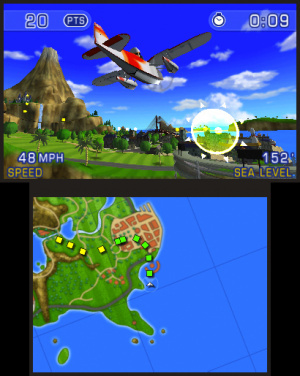 I hope pilot wings resort will be for download on the 3DS shop. They have it on virtual console and the app store (well, the original version). Whats up with all the bleach-blonde hair? What do you guys have against talking owls? does the nintendo 3ds have a new menu?